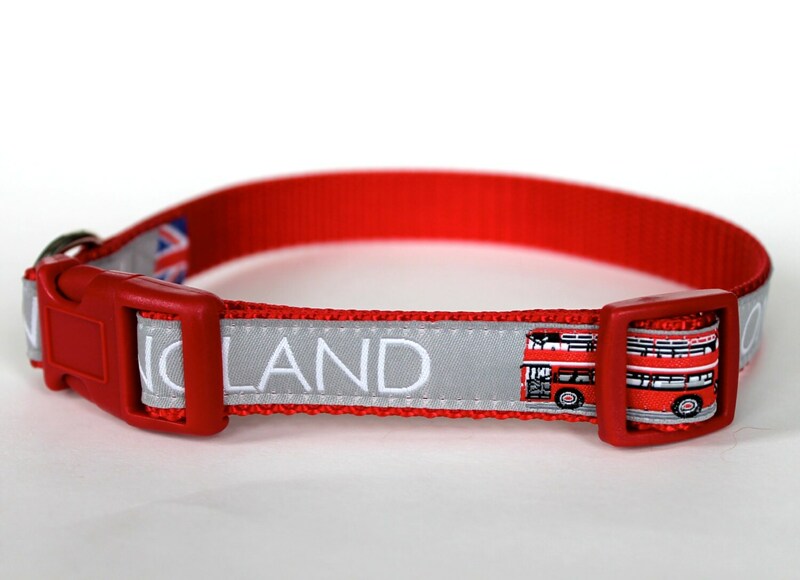 London England Dog Collar. 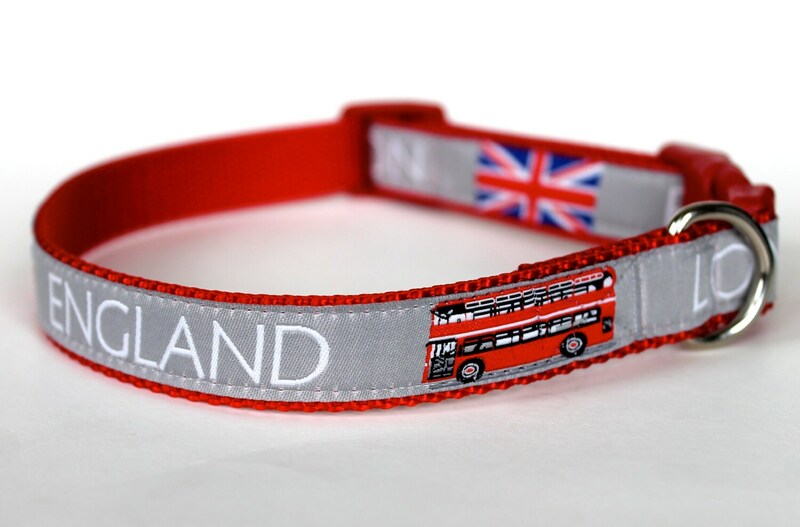 This German ribbon has a British flag and bus with the words LONDON and ENGLAND printing on it. The ribbon has a repeat of 9 inches so it would not work for an XS. 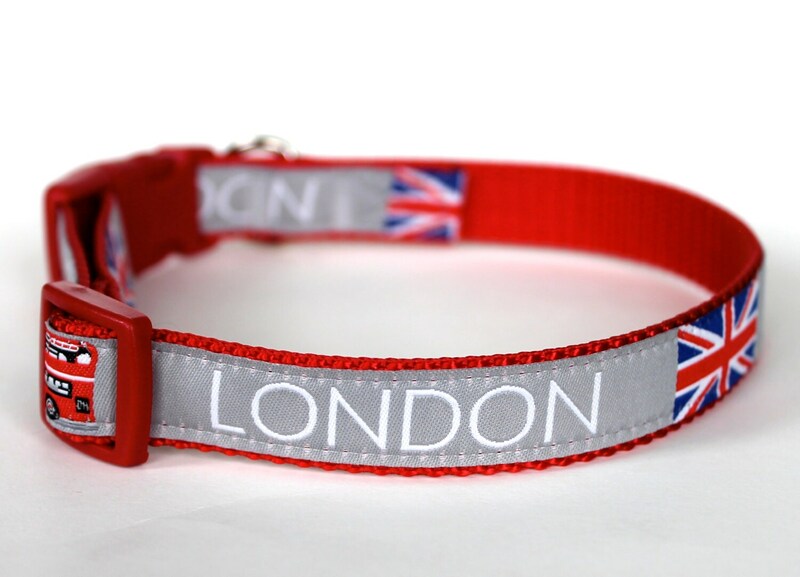 It would look best placed on a medium or larger collar. It is placed on red heavyweight webbing. **Collar pictured is a 3/4 inch. 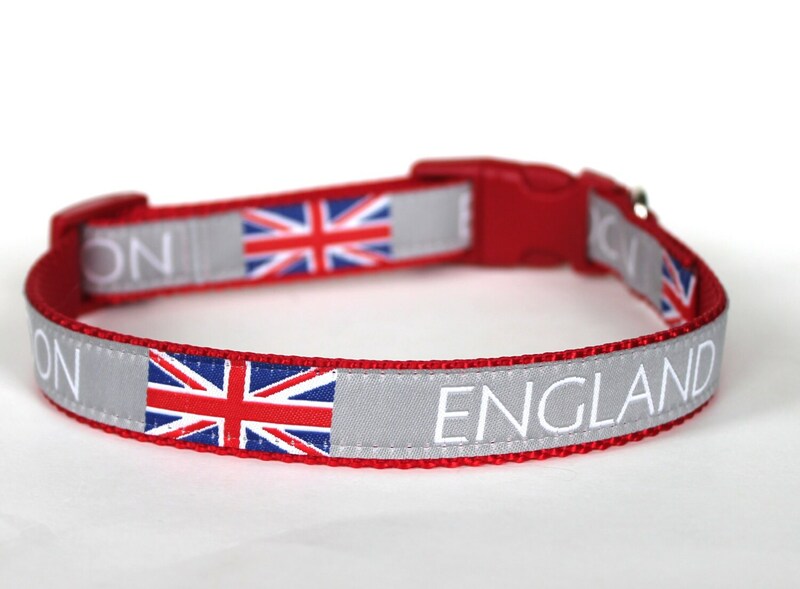 I love this collar. 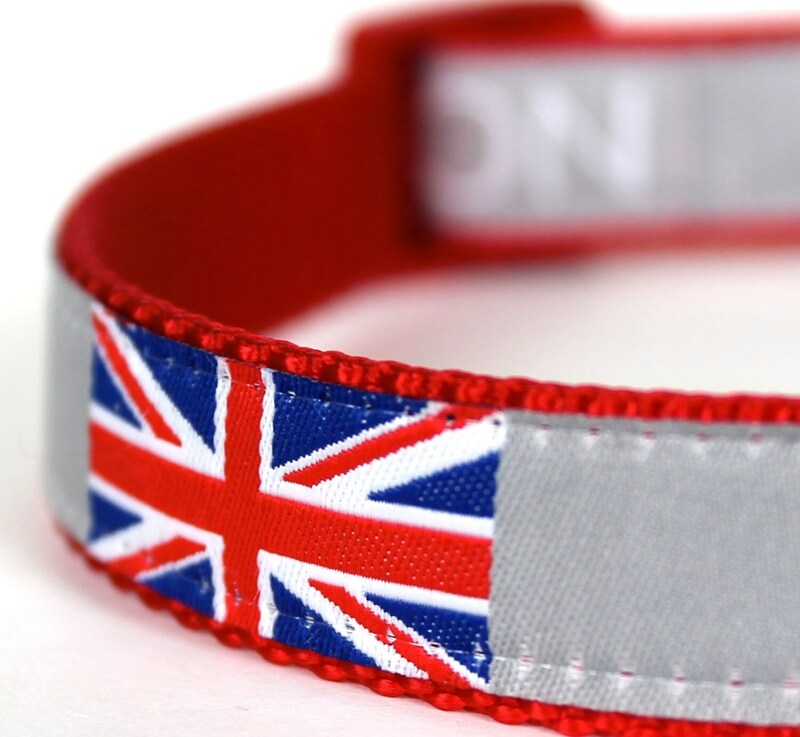 It looks so good on my dog and is very well made and I also ordered the buckle and I couldn't be happier! Thanks so much!! Always, ALWAYS a beautiful item, packaged beautifully and shipped quickly. Thank you.